Do you have missing Teeth? ?Dental Implant is the best option for missing teeth replacement.It Improves your appearance and smile.It is the permanent way to replace one or more missing teeth and are best suited for people who do not want dentures.Cosmozone offers best Missing Tooth Replacement India. Endosteal Implants:It is Most Commonly Used and Implanted Directly into the Jawbone. 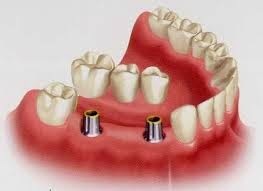 Subperiosteal Implants:It is placed under the gum.This type of implant are used for patients having shallow jawbone. Dental implants are made up of materials such as Titanium,Aluminum Oxide and Surgical Stainless Steel.It not affect adjacent teeth,look,feel and function as natural teeth.Dental implants last at least 20 years,if you don't smoke. Dentist examine your mouth and take x-rays of head,jaw and teeth. Then implant is inserted into the jawbone. 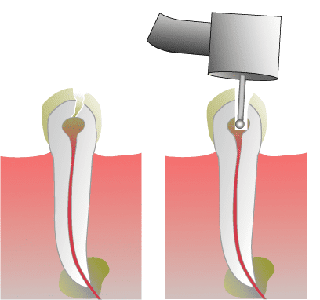 An Abutment is attached to the implant.THe abutment connect to the artificial tooth to the implant. Proper fitting of abutment may take several appointments. 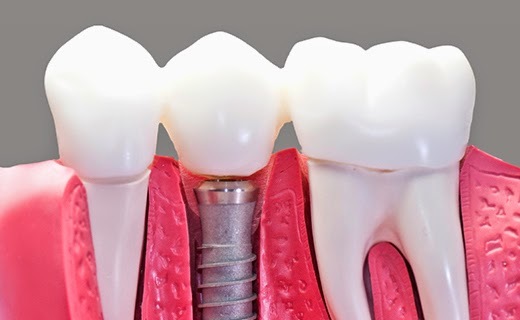 After dental implants,need Regular Check-ups and Good care for your implants.Cosmozone is one of best dental hospital in india.They offers best treatments for Dental Implants,Faciomaxillary Surgery,Cosmetic Dentistry,Dentures and Dental Dentistry. Dental Bridge bridges the gap between two or more teeths.It is a common, affordable and low risk treatment for missing teeth. The typical bridge having one or more artificial teeth is known as pontics. Restore the ability to proper chew and speak. It maintains shape of your face. Avoid remaining teeth from drifting out of position. Most Common type of bridge. It is made up of either porcelain fused to metal or ceramics. 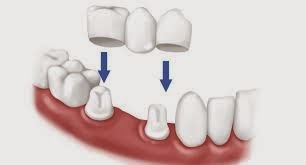 It involves creating a crown for the tooth or implant on either side of the missing tooth, with a pontic in between. 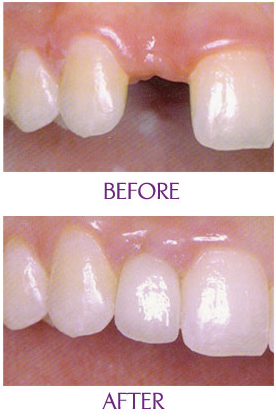 This type of bridges is used only when there are adjacent teeth on only one side of missing teeth. It usually used to replace only one tooth. It is made up of plastic teeth and gums supported by a metal framework. There are metal wings on each side of bridge. It is bonded to your existing teeth. Dental bridges last for long time. You must ensure to practise good oral hygiene. Keep your gums and teeth healthy. Use fluoride toothpaste twice a day and flossing daily. 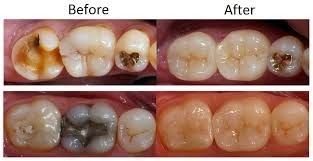 Also see your dentist regularly for checkups and cleanings. Avoid chewing hard foods, ice or other hard objects after the treatment. Before saying ‘yes’ to your dentist, you must know about the treatment. Also you have to select best dentist. Cosmozone is one of the best dental clinic in greater noida.They offers various treatments such as root canal treatment,dental implant,dentures,faciomaxillary surgery,bad breath problems,gummy smile,teeth whitening,teeth cleaning.